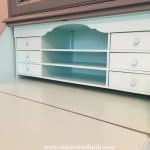 You might remember my pristine DIY Entertainment Center that I featured on the blog a couple weeks ago. Now marred by water damaged and covered with dust, these pieces currently sit in our garage…..
Last Sunday night, we woke at midnight to our daughter screaming. I ran into the living room to check on her, sure that I would find her in the midst of some frantic search for her mermaid doll that fell off the bed. Apparently, her mermaid not only fell off the bed but went for a swim because she picked it up to find it was covered in water – as was most of our house! Two inches of water from a broken toilet valve now covered most of our home. We sloshed through soaked carpet to try to move most of our furniture into the garage. A company came to pull out the carpet and set up industrial fans and dehumidifiers for a week. 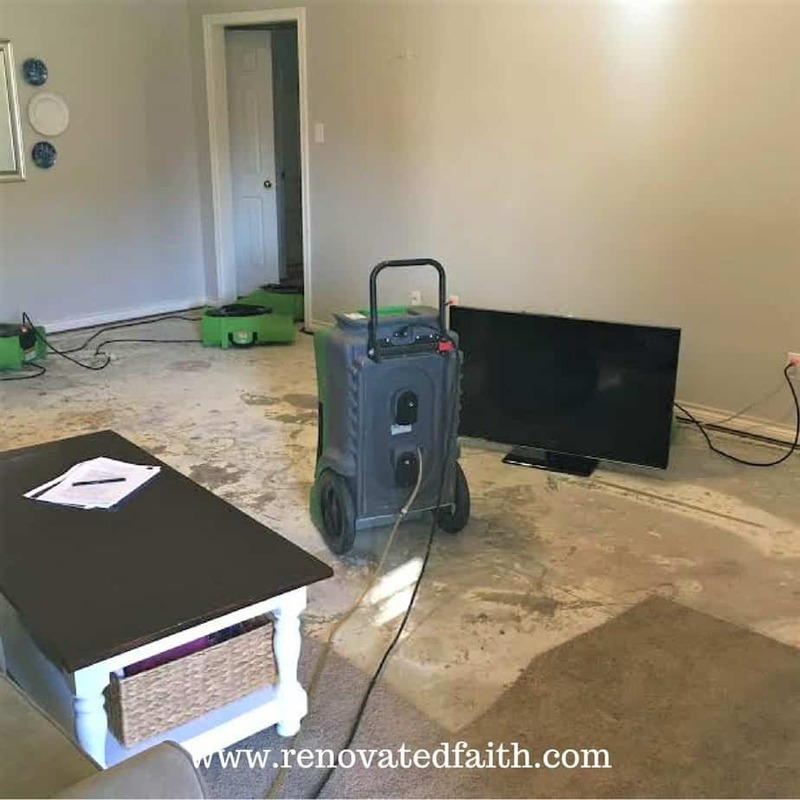 Carpet has been pulled up from every room, much of our furniture is in the garage and the contents of every closet was left in a huge pile in the middle of each room in order to remove carpeting. The wind and noise from the fans only reminded me that the state of our house was now a swirl of chaos. For someone who likes to surround myself with order, beauty and solitude, my home quickly became a wet, concrete-laden, obstacle course of wet furniture, carpet tacks and confusion. 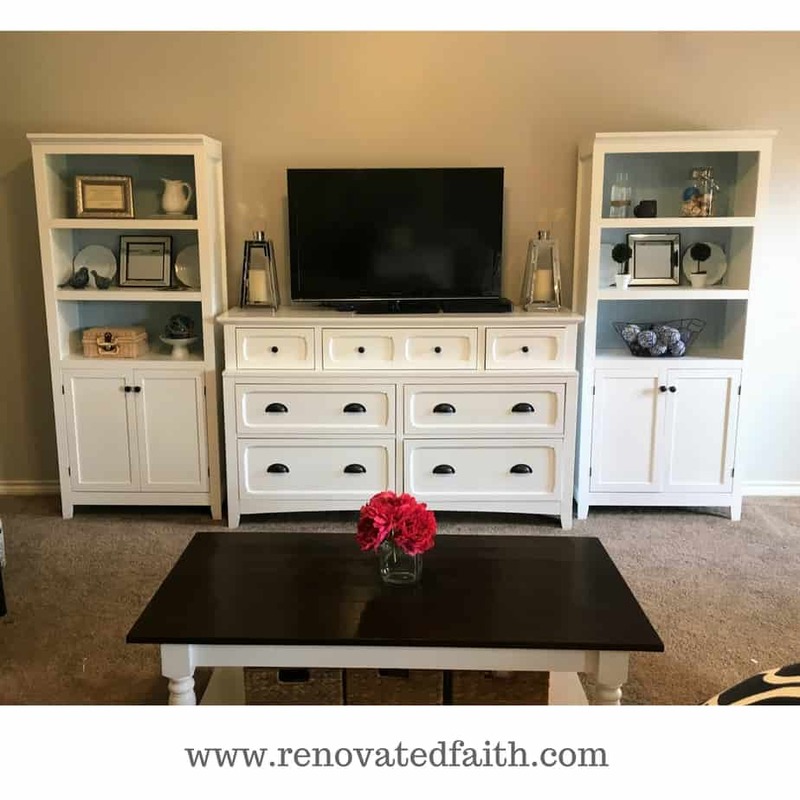 I had some unfinished furniture pieces in our garage and decided I needed to finish them up to make extra room. 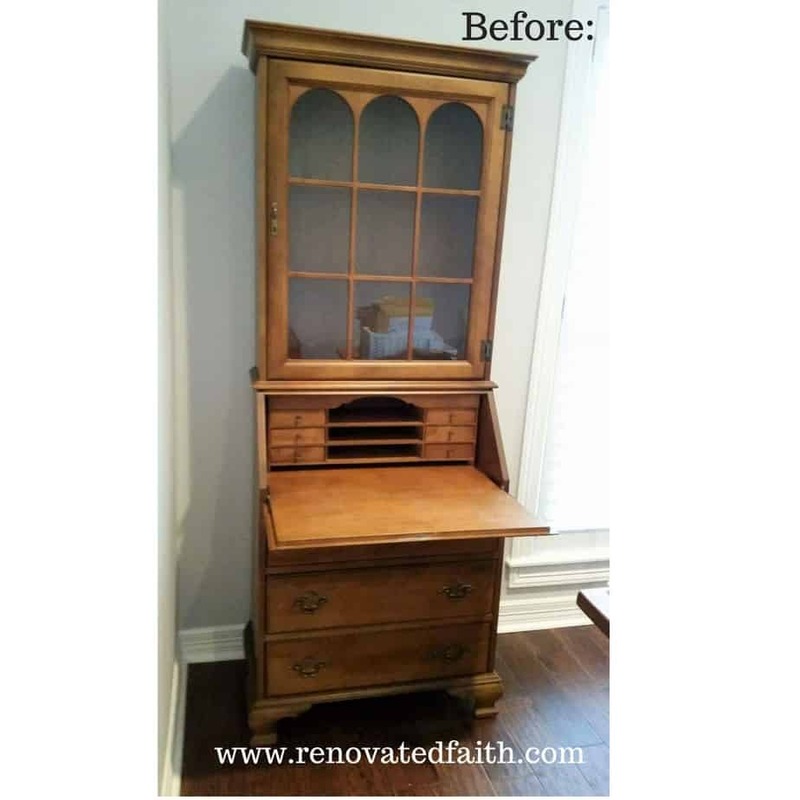 I pulled a half-completed secretary into our living room (aka ground zero) to touch up. This was a piece I worked on for my friend Rebecca to use as her daughter’s desk. I began put the hardware on the secretary and soon a peace came over me. 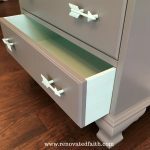 The drawers had been strewn all over the house as I waited for them to dry. It was no nice to see them finally come together to make something beautiful. I am reminded that in spite of chaos, God’s peace can still reign in our heart’s and minds – not matter the mess, no matter the struggles or disaster that surrounds us. This quote stopped me in my tracks. I realized that my heart felt as chaotic as our household because I was allowing Satan’s lies and deception to steal my joy and contentment. 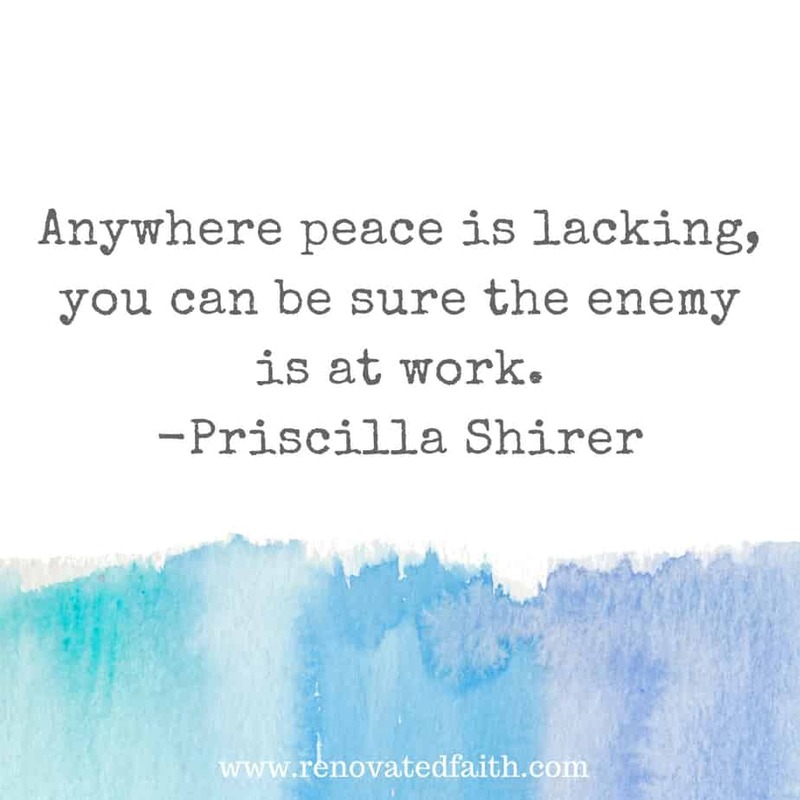 I was blaming my discontent on the state of our house but, in reality, the peace that God gives is not as the world gives. Just because I was surrounded by disorder, my heart can be calm because God can be trusted with even the messiest of situations. The Lord recognizes that we will have hard times, but God’s overwhelming peace has the capacity to give you rest in the most turbulent of circumstances. 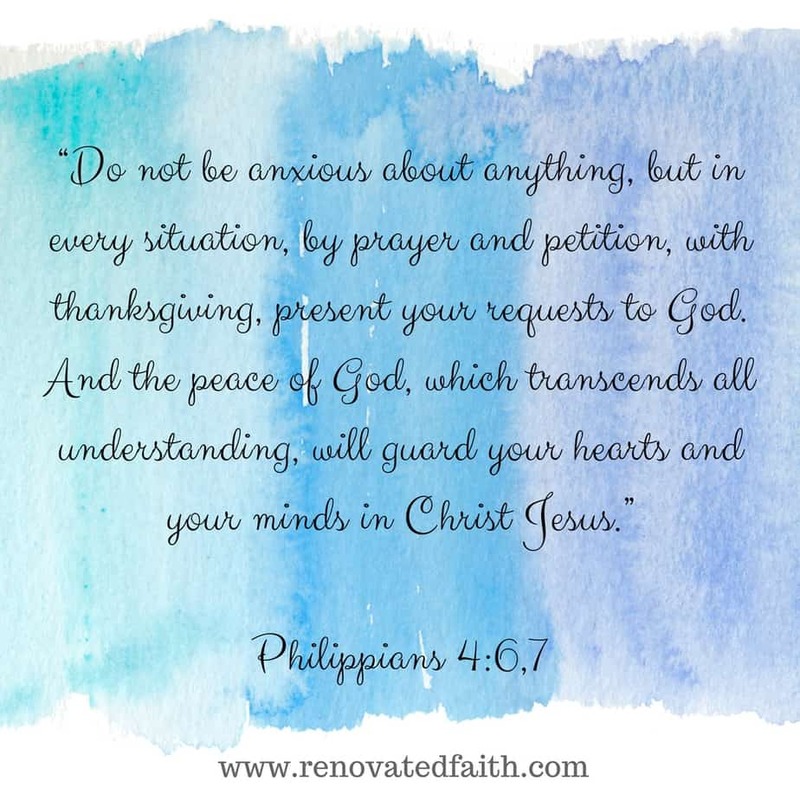 So many times I have read Philippians 4:6-7. 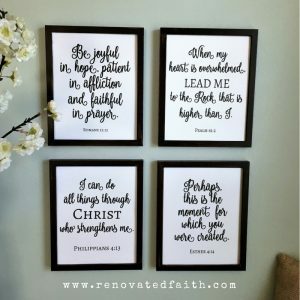 It is a well-known verse that commonly adorns coffee mugs, picture frames and refrigerator magnets. Unfortunately, when it comes to this verse, I often confuse familiarity with apathy. This is one of those powerful verses that the enemy would love for us to forget. But how do we really experience God’s peace in the midst of horrible circumstances? When we make a conscience effort to pray with thanksgiving, instead of allowing anxiety to rule our thoughts and emotions, we are expressing a firm trust in God and His care for us. By taking this step in faith with thanksgiving, we are affirming that God has the capacity to overcome anything that life brings. As I wrote in 7 Tips To Find Your Calling, let your fears and anxieties become a reminder that you have something to bring before the Lord in prayer. When we trust our situation to God by submitting our concerns in prayer and thanksgiving, He will be faithful to release His peace in our lives. Before you know it you will to see the beauty of his plans even in the midst of chaos. My prayer is that your every anxious thought would filter through this truth leaving you with the peace that only He can give. 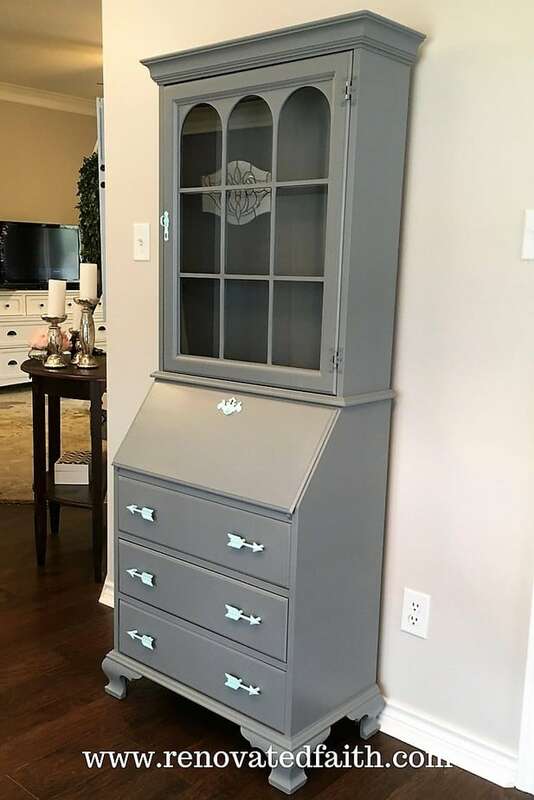 Even in the aftermath of the flood, I was able to complete this secretary. If you look closely, you can see concrete floors in the background. What a testimony to how God brings beauty from ashes, growth from decay, and hope from destruction. I love the name of your blog! I don’t renovate many items but I can relate these same feelings to my own life, when things are organized. The more I read Scripture, I realize our God lives order, and he can bring it about from any form of chaos! I love this. It reminds me of those times when we were having roadworks nearby our house or were doing minor adjustments to our home. It bothered me for the most part. I will never forget, the one time (recently) I drove past roadworks and I thought “What a mess!” God clearly said to me “You need to change your attitude there. I love mess. Mess means you are learning, exploring, living. I can work with mess.” I felt so challenged in that moment. I love how you connect peace with all of this and trusting God. Great post. Karin, this one went straight to the heart. I don’t do well with chaos either, and also recently had flooded floors, construction, mess, and noise. AHHH! But you are so right – my inner state is not dictated by my circumstances and surroundings – unless I let it be. God, give me the grace to reflect You even when I’m surrounded by chaos! Thanks for the great post, Karin. 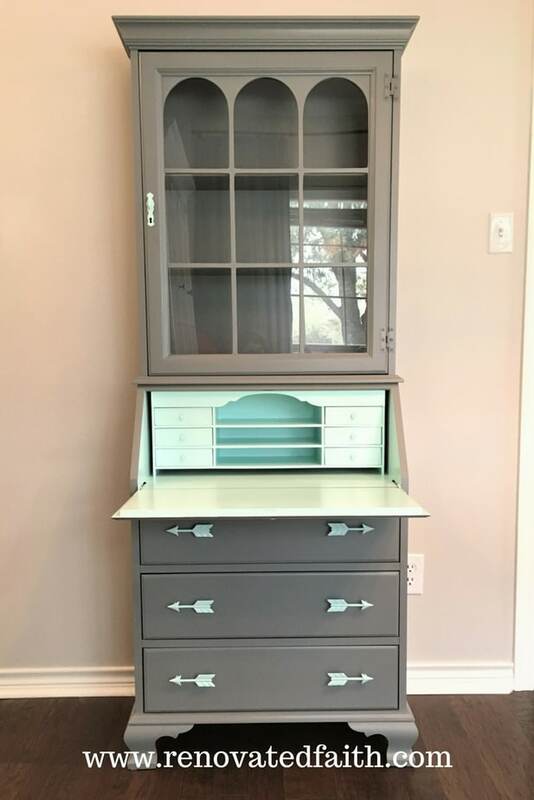 And that piece of furniture turned out beautifully! Hi Karin, although you posted this in 2017 this morning i experience the qoute ftom Priscilla Shirer. 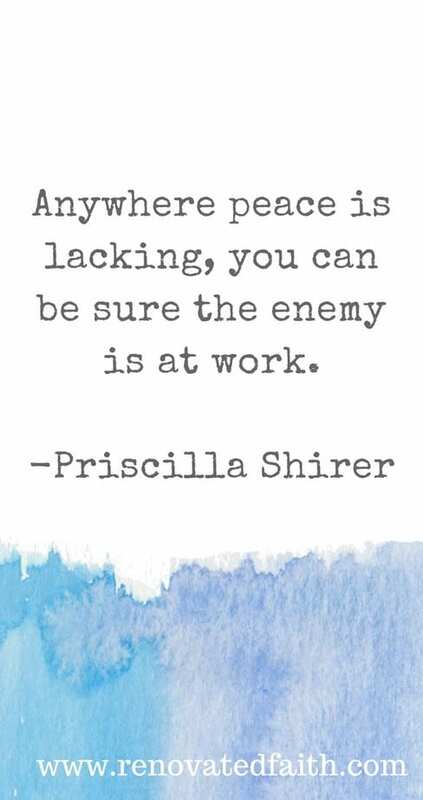 The enemy is at work in my home therefore we have difficulty experiencing Gods peace. Thank you for reminding me of beauty from ashes ; growth from decay and hope from destruction. My faith has bèen renovated. Thank you so very much for sharing that God used this in your life. It’s so easy for me to forget that he is ALWAYS at work. Thank you again Julia.